When looking at places for your next vacation, there are so many factors that come into play. The activities you want to do, the type of climate you want to visit, the culture you want to experience, but no matter where you choose, all places will have one thing in common – it will be the destination for your vacation and will need to provide an ample amount of worry-free relaxation. If you are looking for somewhere that will allow you to kick back and get pampered, these luxury destinations will be right up your alley. Now the hard part, which to travel to first? Located in the Indian Ocean, Southwest of Sri Lanka, the Maldives is bursting with gorgeous luxury resorts. The moment you land in Male you will feel like royalty hopping aboard a seaplane to head over to your resort. The Maldives are made up of over 1000 islands and most of the luxury resorts are situated on their own private atoll. They will provide you with transportation to and from the island, either by speedboat or plane. What makes this destination truly magical is that you can stay in an overwater bungalow completely surrounded by the clearest water you have ever seen. Not only do you have your own private access into the ocean, but you will likely have a deck off your bungalow with your own private pool. This provides a perfect intimate experience where you can rejuvenate and decompress. Many of these resorts offer world-class amenities such as water sports and excursions, spas with incredible views, under water restaurants and top-notch dining. The Maldives is the perfect destination to cut ties with reality and enjoy every bit of your time away. One of the many gems Italy has to offer is Venice. It is the picturesque destination of luxury. With all of its charm, you will be in heaven the moment you arrive. Venice is unmatched by any other place in the world. The city is an island off the Northeaster coast of Italy and is only home to canals and walkways. There are no cars allowed, bringing a quiet quaintness to the city. Instead of the engines running and car horns blowing, you are surrounded by water running past you, people talking at the restaurants and cafes outside and gondoliers singing as they guide a couple down a side canal. It is quite dreamy. There are several high-end luxury hotels that will offer you exquisite rooms overlooking the waterways. It is a beautiful view to wake up and open your window to in the morning as I’m sure you can imagine. You will be able to spend your day talking through the city, touring art museums, visiting St. Mark’s Basilica, indulging in amazing Italian food and immersing yourself in Venetian culture. 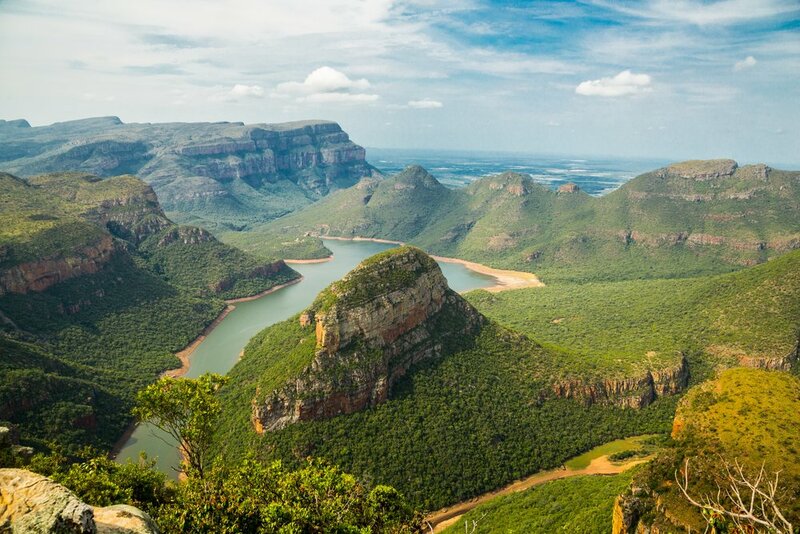 If an African Safari has always been on your bucket list and you are looking to get more in touch with nature, South Africa will be a perfect fit. South Africa offers several private game reserve resort options where safari and wildlife meets high-end luxury. You will be staying at a five start resorts in the middle the African bush. Not only will you have a safari included in your stay every day, where you will get to see the big five and so much more in their natural habitat, but you will come back to a deluxe bedroom villa for the night. Most of these resorts are all-inclusive - the safari drives, all meals and all beverages are priced in. This South African escape will have you feeling completely pampered. Many of these resorts are small, housing only about 15 rooms, so the staff with be there for your every need. There is nothing better than the peacefulness and tranquillity of being completely surrounded by nature. It is the perfect place to clear your head, take in natures beauty and enjoy some of the most spectacular views of your life. Dubai has easily become the land of luxury and decadence. Located in the Northern section of the UAE, you will find every detail is created to the highest calibre. There are more luxurious hotels than you can count. The city offers the world’s largest mall, world’s tallest building and world’s largest dancing fountain, yet the city is still expanding at a rapid pace. You will find high-end and top of the line shopping, restaurants, bars and architecture. The Dubai Mall is comparable to its own city, filled with every brand you could imagine. The dining is out of this world, even some of their dishes and drinks have gold flakes in it. As you explore the city, you will see how each building and piece of architecture is so unique from the other. Dubai also offers the beach for anyone who thinks a vacation isn’t a vacation without some water to float in. A beach resort in Dubai is the perfect place to stay so you can enjoy cooling off by the ocean or pool in the evening. Many of the luxury resorts sit on the man made palm off the coast, providing a more private and elite location. 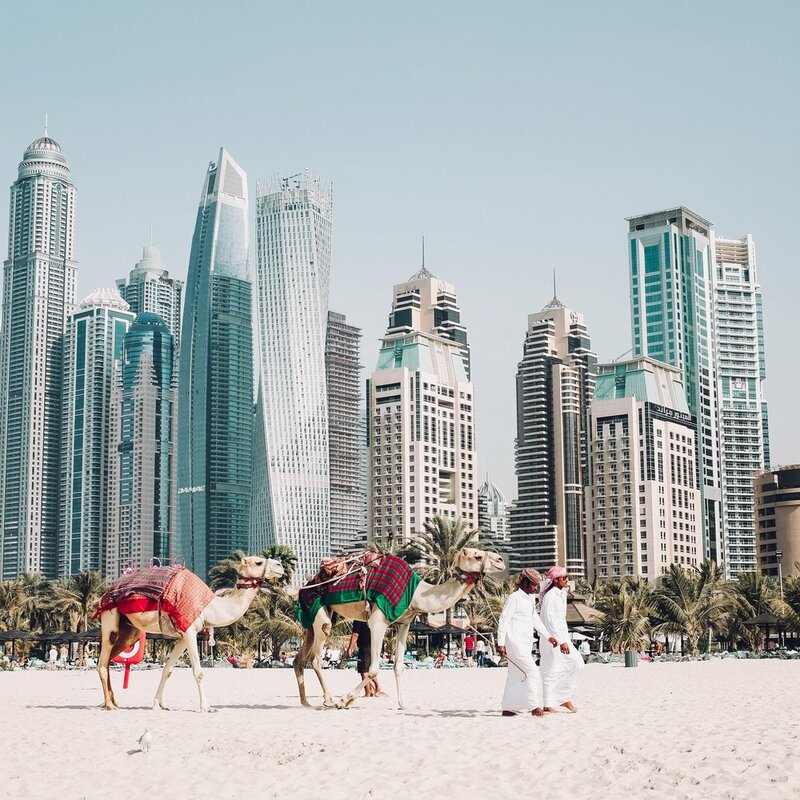 Dubai will be sure to not disappoint and make you feel like you have stepped into a palace for your vacation. Nestled in French Polynesia you will find the island of Bora Bora. This island is home to a stunning lagoon filled with amazing sea life. From here, you will hop on a boat from the airport and get whisked away to your own little paradise. Bora Bora is filled with luxury from the overwater bungalows, where you can see fish through the floor, to amazing spas that will have you completely relaxed. 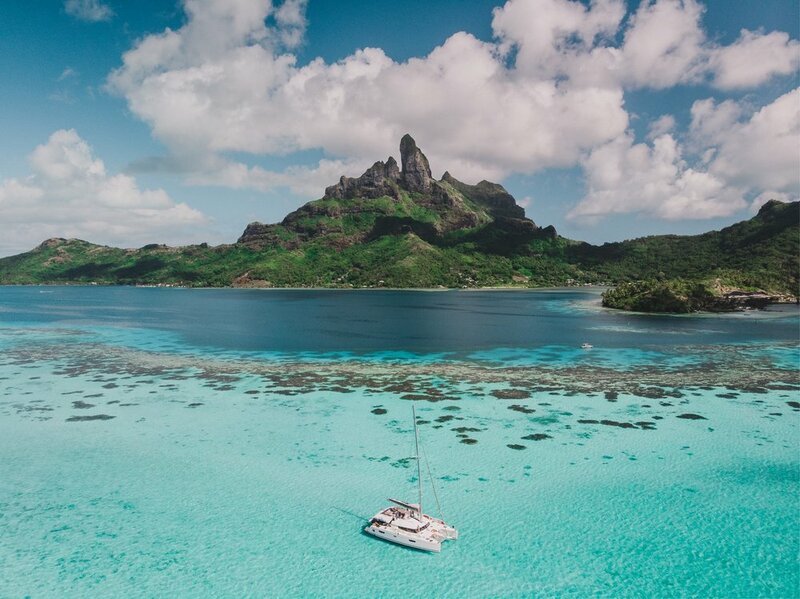 Not only will you be surrounded by beautiful translucent turquoise water, but you will be immersed in the lush landscape of the island and the Polynesian Culture. The view you get to wake up to every morning is heavenly and there is truly none like it. Why not fill your days with relaxing beach and poolside, swimming with the sharks, paddle boarding around the lagoon, partaking in fine dining options and listening to soothing Polynesian music on the ukulele? From dawn to dusk you’ll find relaxing or adventurous activities for every taste to fill your day. If high-end is what you are looking for in your luxurious getaway, New York City is one of the best destinations. This is the city that never sleeps and offers a little something for everyone. From 5th Avenue filled with high-end brands, to more top-notch restaurants than you can count, spectacular Broadway shows, a plethora of tourist attractions and plenty of local spots where you can sit out on a rooftop bar sipping a cocktail taking in the skyline, New York City will steal your heart in so many ways. The city has some top luxury places to stay to make your trip absolutely perfect so you only need to decide which your favourite is. This is the place to go if you want to treat yourself to a high-class weekend away with your loved one or your group of friends. There is so much to do in the city. 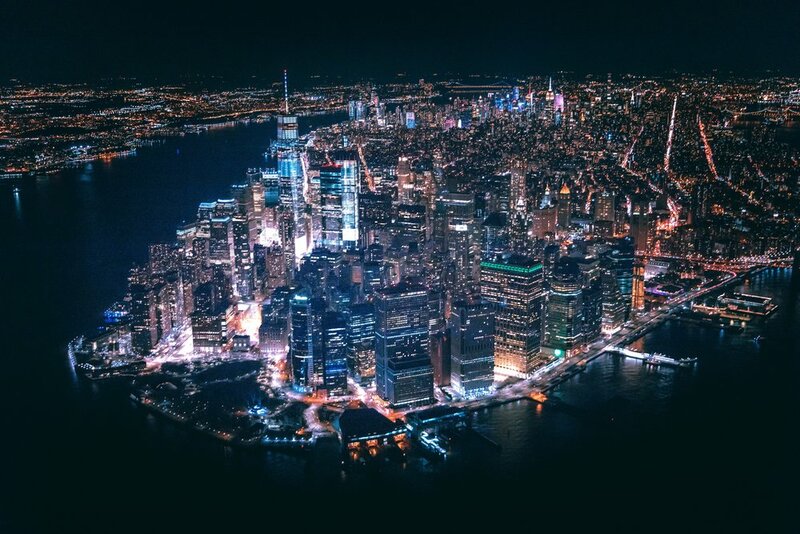 No matter what you choose to do while visiting, New York City is electric and will have you feeling energized and ready to take on the world. A couple’s paradise, Seychelles is the perfect romantic getaway. This luxurious destination is remote and far from reality. Located in the Indian Ocean off the Eastern coast of Africa, this island is home to some of the world’s most breathtaking beaches. Many of the resorts found in Seychelles are very private and with a small number of rooms, making your personal stay a huge focus of the staff working here. There are even resorts you can stay at completely secluded on your own island #LifeGoals. You won’t feel crowded or like there are people intruding on your space even in the resorts and you’ll feel like you have the beach to yourself. You will be able to fill your day with some of the world’s best fishing, hiking through the lush jungle landscape, enjoying the stunning beaches and eating some delicious creole food. 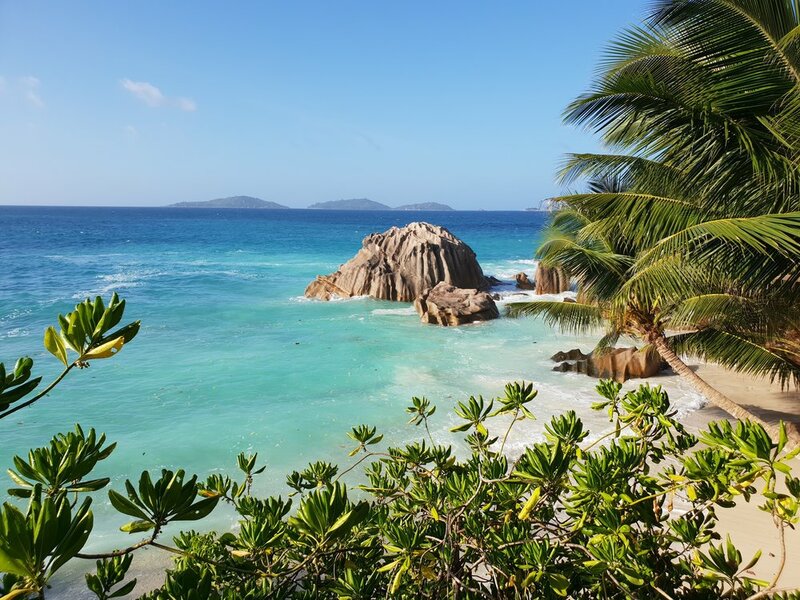 Seychelles will have you never wanting to leave. If mountain views are what you are looking for, Switzerland is a great destination filled with the snow capped European Alps, beautiful lakes, amazing skiing resorts along with character filled cities and towns with so much to see. Here you will find the perfect luxurious escape that mixes outdoor adventure with city and culture. What can get better? There are several deluxe hotels to choose from. Whether you want to be cozied up on the mountain side or in the city centre is up to. You will be sure to have breath-taking views with either option. Switzerland has something to do no matter what time of year you visit. If you are planning to travel during the winter, the mountains and skiing may be more of a focus. But, if you are travelling during the summer months, you will be able to enjoy the Swiss vineyards and water sports out on the lake. There is an abundance of good food and shopping anytime of the year, and of course, we can’t forget the chocolate! Located in Central America, Costa Rica is the perfect destination for your luxury getaway. There are several luxurious escapes in the rainforests on the West coast of the countries stunning beaches. Whatever you deice, each will offer incredible views you won’t get anywhere else. In the rainforest, you’ll get volcanoes and waterfalls, not to mention the wildlife right outside your window. At the beach, you’ll get pristine waters for swimming or surfing, along with some incredible seafood to try. Costa Rica is home to some of the best surfing spots, volcanoes, rainforests, beaches and has wildlife in every corner. The monkeys and iguanas will even be roaming your hotel, so watch your drink and food, not to mention your phone (yes- they really do grab anything and everything)! This is also a great place to do a little deep-sea fishing, if that is something that sparks your interest. Costa Rica is a dream location to visit so you can feel refreshed and rejuvenated. The people are extremely friendly and with the five-star accommodations, you will be sure to enjoy every second of your stay. As the locals will say, ‘Pura Vida’! A unique experience that will have you feeling like you are living out a fairy-tale is a trip to Finland. Here you will have the opportunity to stay in a glass igloo gazing into the night sky watching the Northern Lights. Talk about a captivating view! You will feel like you are in Santa’s North Pole while experiencing all the fun winter activities there are to offer, such as snow mobiling, reindeer sledding, dog sledding and ice fishing. The accommodations will generally provide you will breakfast and dinner and there are exquisite restaurants where you can enjoy some of the local cuisine. There are not many places in the world where you can see the Northern Lights and to be able to take in the stunning views all night long while cozied up with your loved ones, it just does not get much better than that. So if you want a room with a view, Finland is absolutely the place for you!